Hello, I’m Robert Long (refer to “Contact” in Menu to reach me). 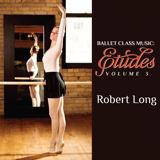 This page features testimonials for my ballet class music albums: Ballet Etudes, Etudes II and Ballet Class Music: Etudes Volume 3. 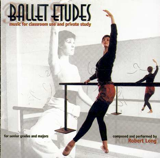 These albums are designed for ballet class instructors and ballet students, and formatted to cover a complete class, with barre and center floor practice. Available for $9.99 on iTunes, or $17.95 for CD (CDs in stock). Streaming via Spotify, Apple Music and others now available. Refer to “Albums/How to Order” in Menu for more options.